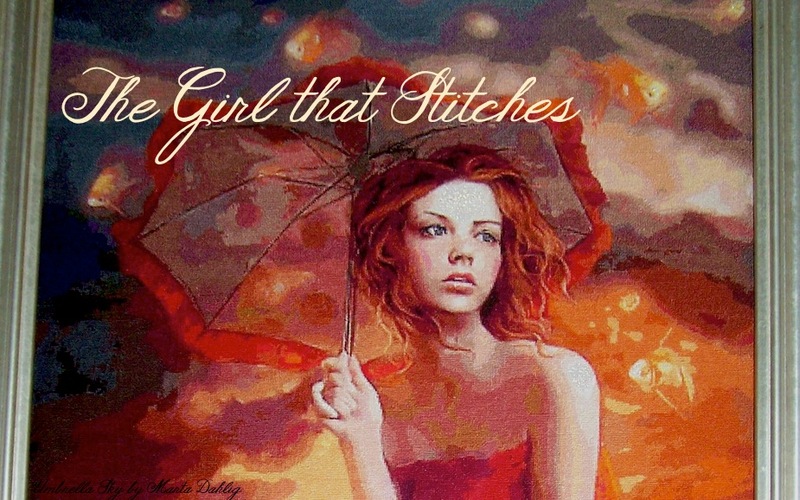 A Guest Stitcher! My neighbour Rob has recently retired and decided to take up cross stitching! I've been helping him learn how to stitch over the past couple of months. He is stitching the R.A.E.M.E Badge, which is an image close to his heart from his days spent in the Army. Rob's PVC Floor Stand Project After working with a hoop for several months, Rob has now switched to a Q-Snap frame and decided he would also like a floor stand. So we made a floor stand out of pvc piping based on this tabletop stand (obviously with longer legs than the design specifies). After assembling the stand it was spray painted to achieve a copper finish. Zebra Stripes & Rainbows... Nice! Cosy Stripe Blanket My Cosy Blanket has gained more stripes but not as many as a Zebra!!! ;) It's currently sitting on 18 different coloured stripes, with 36 rows complete. I think it will need about 90 different coloured stripes, or about 180 rows all up... So I'll keep stitching lol!... The colour scheme should begin to make more sense once colours start to tie back and repeat. There won't be too many repeats though as I've got quite a few different yarns to use! I'm loving the texture of the contrasting rows. The pattern is from Attic 24.